Now come the little details- the venue, the guest list, the music. And being a bookworm, you’d like to show off your literary side on your special day. Look no further, reader, for we’ve compiled a few book inspired wedding dresses for all tastes and genres. Oh hi, Little Red. Met any handsome woodcutters lately? You’ll be instantly recognizable in this statement red cape. 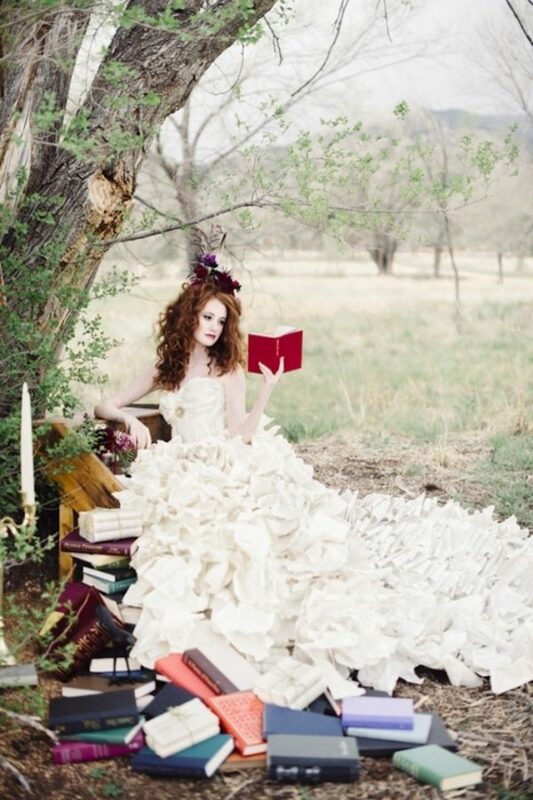 Pair with rich red accessories and a romantic fairytale theme and your love of storybooks will shine through. Long, formal gowns not your thing? Maybe this quirky little number will hit the spot! 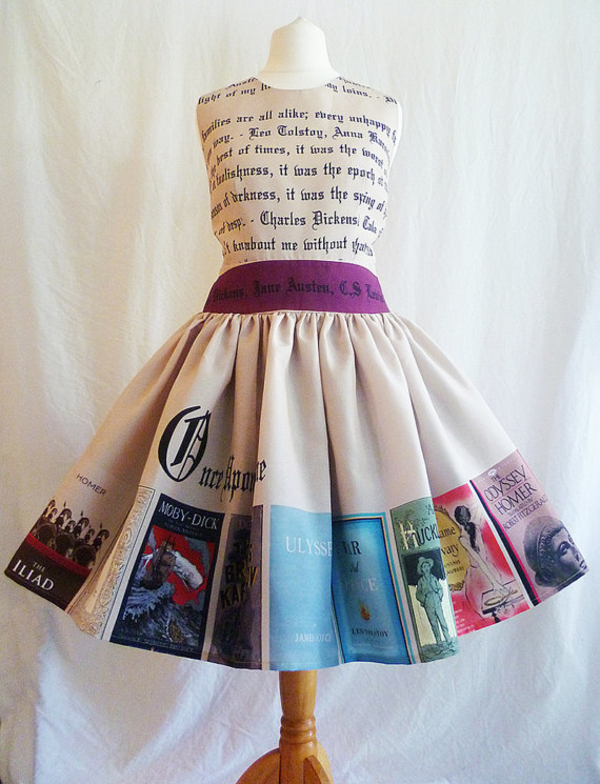 The bodice is covered in quotes and names of famous authors, and the panel of book covers around the hem is an unforgettable detail. This gothic gown was perfect for the bride’s Halloween ceremony, inspired by the poetry of Edgar Allen Poe. The texture of the black tulle skirt is very interesting, and photographs brilliantly. 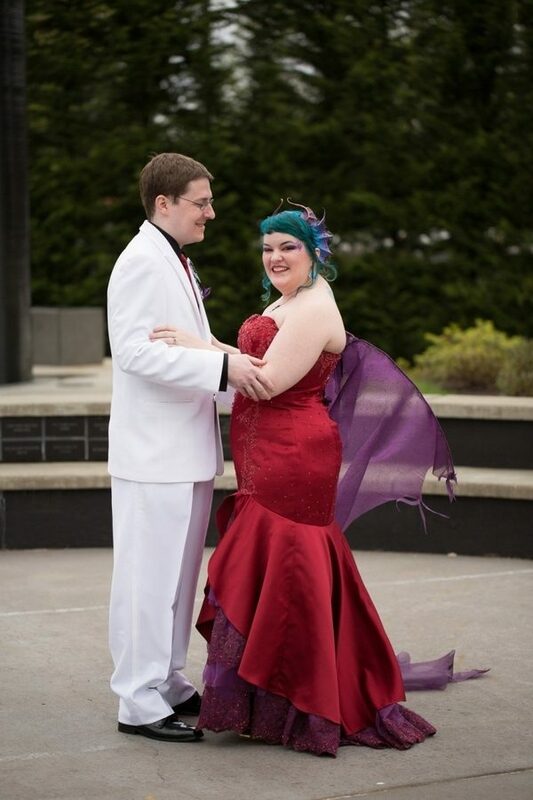 This sweet pink gown was the star of a Dr. Seuss themed ceremony! 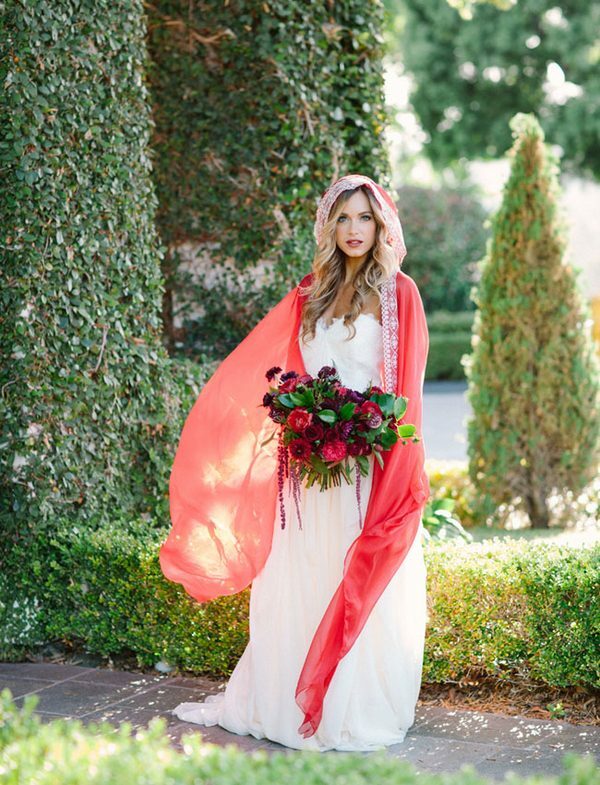 The color is absolutely beautiful, as is the whimsical long veil. The puff of tulle at the bottom of the trumpet silhouette only adds to the stunning effect. So many little girls dream of their fairytale wedding, but most of them plan on starring as the princess. This bride opted to dress as the dragon! This one’s definitely up to personal taste, but the rich colors and dragon headpiece sure do make an impression. This dress is nothing short of incredible. The tight bodice and dramatic skirt would be very flattering to any body shape, not to mention striking. 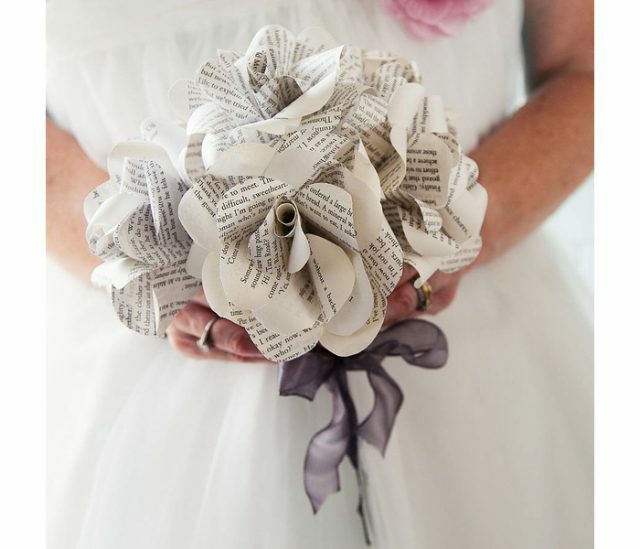 For a wedding dress none of your guests will ever forget, why not take inspiration literally from the pages of a book? 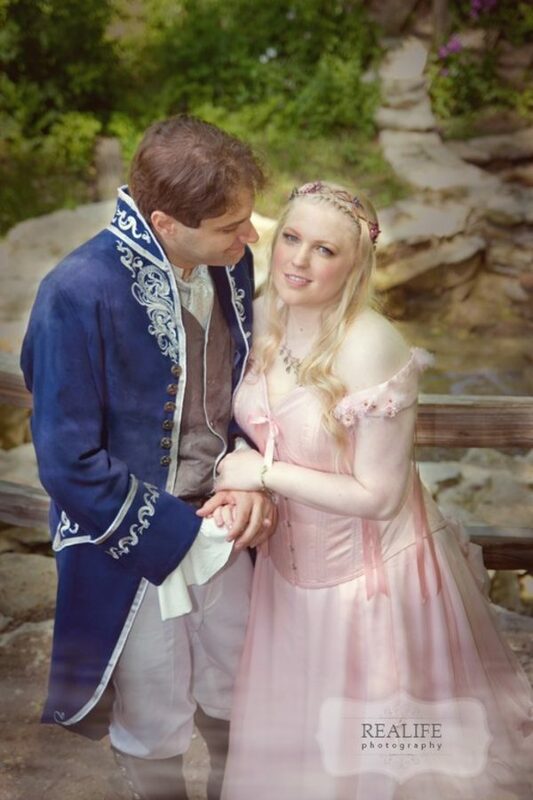 The inspiration for this dress was a mixture of Lord of the Rings, Dungeons and Dragons and Disney. It has a very medieval feel to it, with the flower crown and tight corset. Oh, my heart. 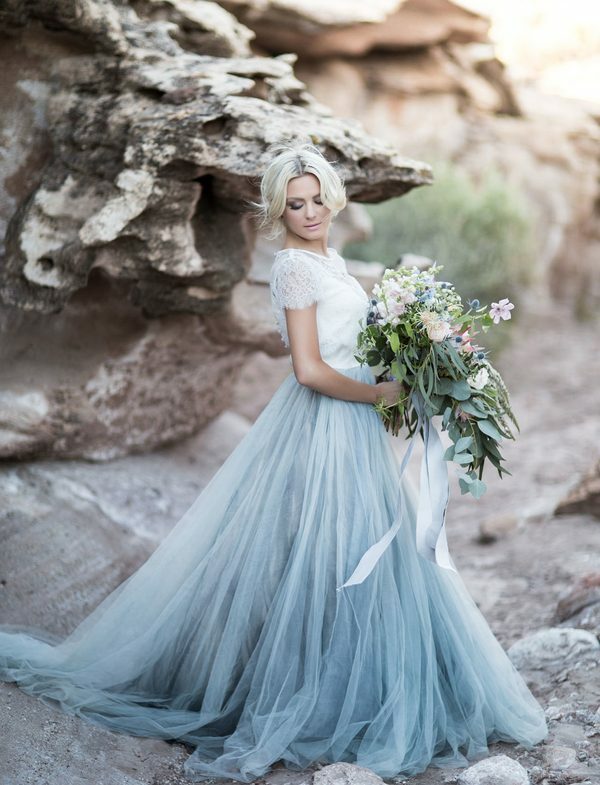 This stunning dusty-blue dress will transform anyone into a modern day Cinderella. The ombre skirt and cap sleeves add detail without being overly fussy- a dress fit for a queen. Found your Mr Rochester? Then wed him in a dress fit for the occasion! The classic lines and modest sleeves of this dress are unmistakably Bronte-esque. Just ask for a quick look around his attic before the ceremony. Daisy, eat your heart out. 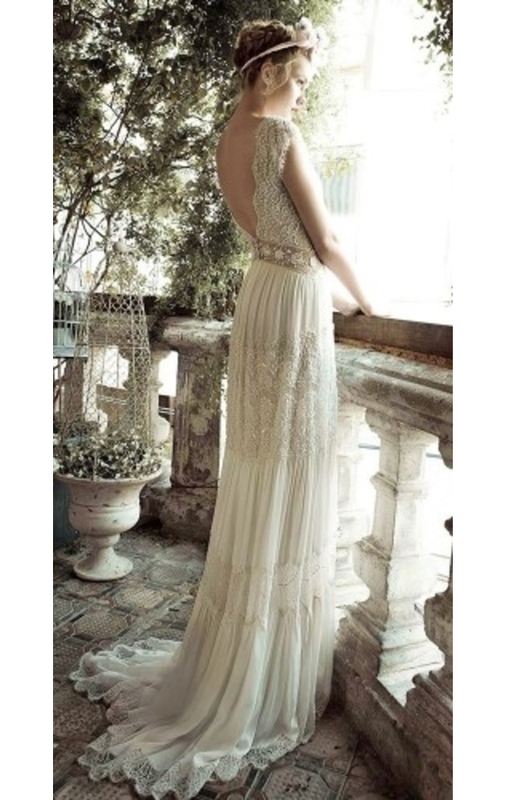 The vintage inspiration for this dress is obvious, and the flapper-style headpiece is a nice touch. Show your love for the roaring twenties! Channel Meg March in this prairie-style number on your wedding day. Whether you’re a hopeless romantic dreaming of your wedding day or actually shopping around for a dress, I hope your wedding- and more importantly, your marriage- is everything you could ever have dreamed of. Good luck on your happily ever after! Previous articleVIDEO: Let’s Talk About Why We Outgrow Books!